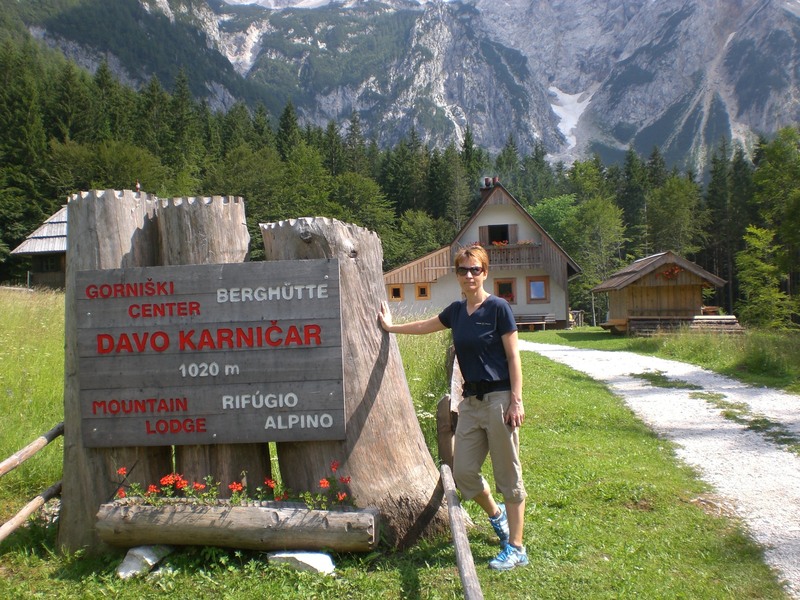 A perfect to visit in the height of summer, when the heat is on, is Jezersko. This tranquil and picturesque part of Slovenia can feel a little cut-off, due to its somewhat remote location at the end of a long winding road which leads to the border with Austria. However, in reality its only just over 40km from where I live in Radovljica and takes under an hour to reach by car. Jezersko’s 700 residents are scattered across its two parts – Lower (Spodnje) and Upper (Zgornje) Jezersko. 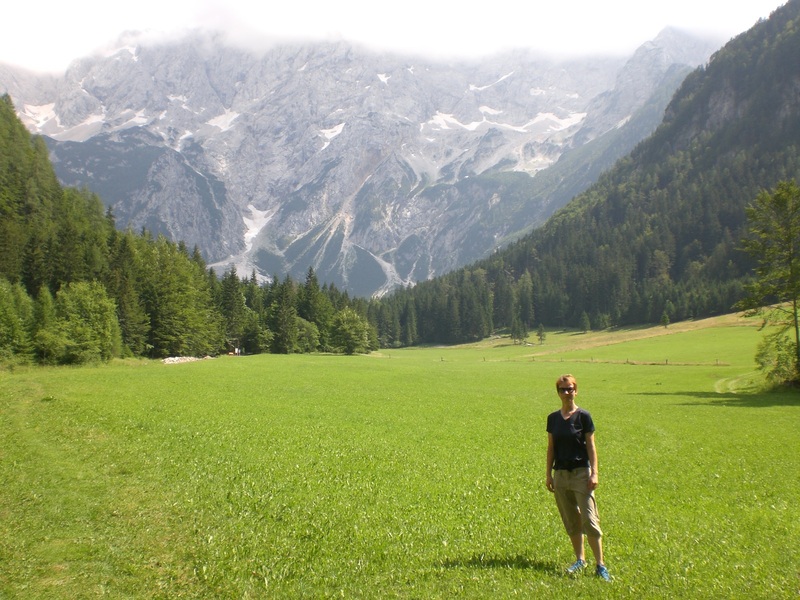 It lies at 906m and is surrounded by the high peaks of the Kamnik-Savinja Alps. There area is a nature lovers dream with an abundance of outdoor things to do; hiking, cycling and climbing in the summer and skiing, sledging and skating in the winter. Lower Jezersko is predominantly residential whilst its upper part offers accommodation, tourist farms and other (limited) tourist facilities. The lake, Planšarsko jezero, is one of its most popular draws and is a popular place for family outings as well as being the start point for the numerous walks into the surrounding high peaks of the Kamnik-Savinja Alps. Also, along the path is the new Davo Karničar Mountain Lodge. A true Jezersko local, Davo Karničar is a climber and extreme skiier, as well as being the first man to ski from the summit of Everest in the year 2000, as well as having skiied from the 7 summits, the 7 highest mountains on each of the 7 continents. In short he’s a (Slovene) living legend. Despite all that he has achieved he has remained entirely down-to-earth and will more than happily brew you a tea or cook up some local specialities and can also offer advice on what to see and do in the area that he knows like the back of his hand. Accommodation at the lodge and guided tours can also be arranged. At the far end of Jezersko, you reach the Seeberg mountain pass (1218m), and former border, which leads into the town of Bad Eisenkappel (Železna Kapla) in Austria, which is just one of the many ways of reaching Austria from Slovenia. 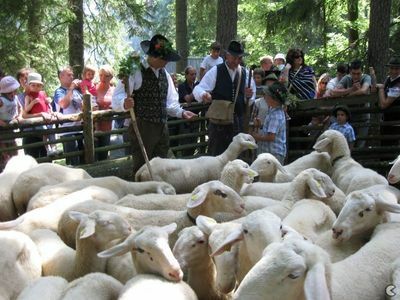 Every August the Sheep Ball (Ovčji Bal) is held in Jezersko, which is a festival of all things ovine. The celebration of the indigenous Jezersko-Solčava breed of sheep, this year in its 55th year, include demonstrations of sheep shearing and other sheep related traditions, woollen related activities and the opportunity to purchase local handicrafts and dairy products.